Technology – why do we love thee? You and I together with the many people around us might be asking the same question ever since technological advancements boomed. It is not a surprise, because it has opened our eyes and minds to new things we did not even imagine can happen before. Of course, technology is still limited even at year 2011, but at least we are going somewhere, right? One of the interesting things to look forward to this year is catered to car lovers, especially those who love the popular sports car brand known for its annual Singapore racing event, Formula 1 (F1). You thought it right, it is Ferarri. But this is not to promote the car brand; more of emphasizing on the technology they are about to use. Are you ready to know more about the Mind Reading Technology? Read on. 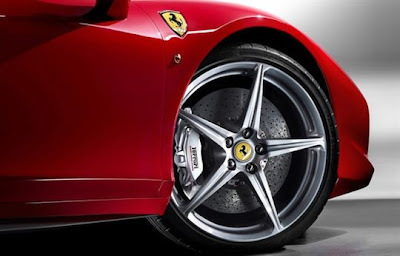 Perhaps with the knowledge that F1 drivers are fast and furious when it comes to maneuvering their wheels, Ferarri has thought of applying for a new patent application focusing on an in-car technology. It covers the monitoring of a driver’s mental and physical state in order to adjust a car’s stability and traction control systems. This in turn will help avoid potential accidents resulting from loss of control. In addition, not only does this help improve driver’s safety, but also sharpens a car’s dynamics to better satisfy a more alert driver. Wow, that may seem to be a great patent on its way! But how exactly will that happen? Honestly, there is quite a lot of work to be done. A series of sensors will be installed around the car’s cabin housing, which enables the capturing of data on the driver. The biometric and psychometric sensors then records the driver’s respiration, blood pressure and heart rate, brain electric activities, blink rate, temperature, etcetera, and transmits it to the car’s system to allow automatic adjustment of set-up. Whatever the cost may be, the importance of this is that something has been started. Five to ten years down the road, what has been initiated will become something better and cheaper when all other competitors are implementing the same technology. Meanwhile, let us hope and pray that this patent will be approved and registered, so that other car brands get challenged to innovate something similar or more extraordinary. This article is my third contribution to Manila Bulletin -- one of Philippines' leading broadsheets -- published last January 24, 2011 (Monday) in the TechNews Section. You can view the PDF version here.